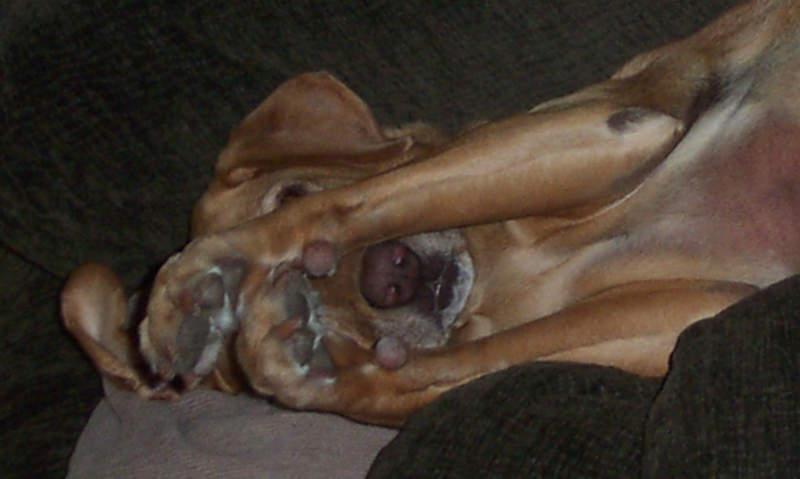 Does your dog feel guilty when she disobeys? 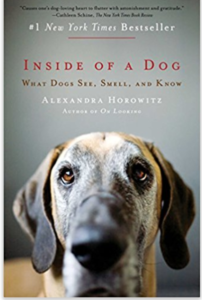 Probably not, according to Alexandra Horowitz, dog cognition scientist and author. Yet we have all seen that guilty look, haven’t we? Head down, sad eyes, tail tucked, slinking away. Is that guilt? Or is it a response to our reaction? 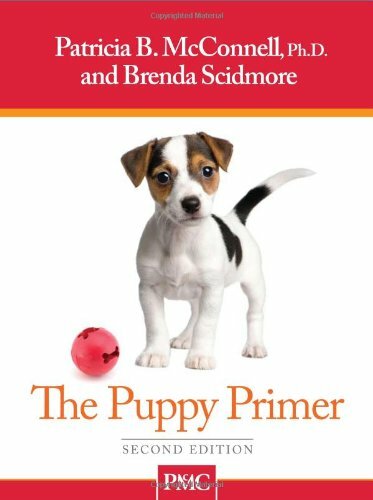 I had the pleasure of listening to Ms. Horowitz discuss this and other studies regarding dog behavior. 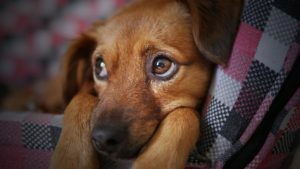 The study regarding guilt took place in the dog’s homes, where the pet parent was asked to put a treat on the floor and instruct the dog to not eat it. The parent would then leave the room. The dog either ate the treat or did not. When the parent returned, she was randomly told whether or not her dog ate the treat, regardless of what the dog had actually done. 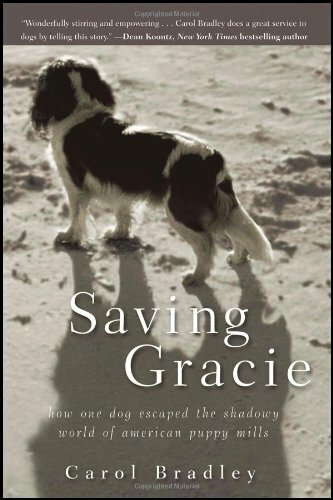 Whether they had eaten the treat or not, the dogs’ responses to scolding was the same — head down, sad eyes, tail tucked, turning, and slinking away. Time and again the dogs reacted in similar ways to scolding, regardless of whether they had any reason to feel guilty. Ms. Horowitz’s conclusion was that the dog’s response is meant to appease us to avoid punishment and is not necessarily guilt. There was another study where dogs were given the choice between containers holding different amounts of dog food. The dog’s parent would pick up a container and express delight in the container, which made it more likely that the dog would pick that container, even though it had less food. Again, is the dog trying to appease us or simply more curious about the container we handled? Or perhaps they cannot tell that one container had more food than another? I suspect Orson loves food more than me, I may have to try this experiment on him. 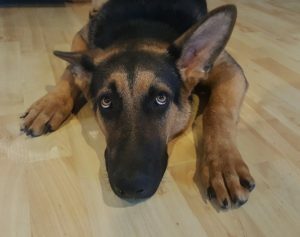 Do dogs discern between fair and unfair treatment? Yes, they do. In one study two dogs would work with one trainer at the same time, and then the same two dogs would work with a second trainer. The first trainer always gave each dog the same number of treats and the second trainer would randomly give more treats to one dog than the other. 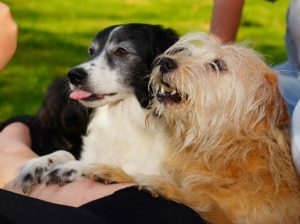 Over time the dogs chose to work with the trainer that gave more treats, even though there was a risk that they may receive less or no treats at all. These studies are interesting and challenge us to understand more about our dogs. While it is nearly impossible to really know what a dog is thinking, scientists can make deductions from these well-crafted studies that help us understand our dogs. For more information regarding these studies you can find them on the Horowitz Dog Cognition Lab website. 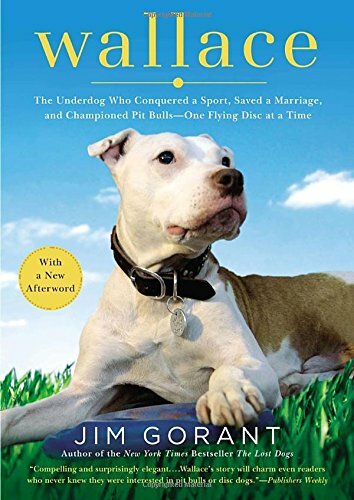 If you want to know more of what it is like to be a dog, I highly recommend Ms. Horowitz’s book, “Inside of a Dog.” Ms. Horowitz spoke at the Annenberg Pet Space, in Playa Vista, California. If you live in the area, check out their free education events for children and adults.